Can Honey help prevent and heal cancer? | Get Krieger Fit! 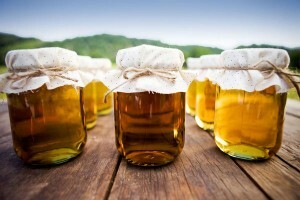 Can Honey help prevent and heal cancer? I love honey but have been limiting it because of information online saying how honey is just another sugar which we know is not very healthy and caused many diseases so common now in the USA. Maybe this is true for most of the processed heated honey but here is some new research indication that honey really is a great food! I will for sure use honey instead of regular sugar or Agave syrup. It is important to buy good quality honey such as Manuka honey or any local RAW honey which has not been heated and processed. Enjoy the treat and remember everything in moderation. This entry was posted in Nutrition and Research on May 5, 2014 by sabinekrieger@hotmail.com.